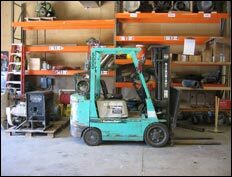 One of the most important factors that help businesses operate are trucks & equipment. 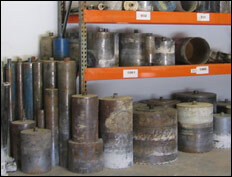 Concrete Coring Company has versatile trucks and some of the finest cutting and drilling tools in the industry that help to set us apart from the other concrete sawing companies. We try to make our trucks eye catching, but that is secondary. Versatility is what we need. Our jobs and scheduling changes from day to day so we have built our newer trucks to do several different things. 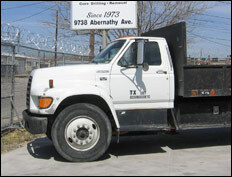 Compact trucks with special interior modifications are the backbone of our fleet. 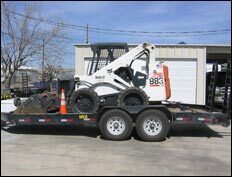 These special units enable us to service your job quickly and they are fully equipped with all necessary tools for almost any operation. These trucks are the most unique and versatile in the industry. 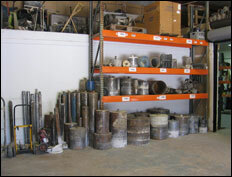 We have some of the finest concrete cutting and drilling equipment in the industry. 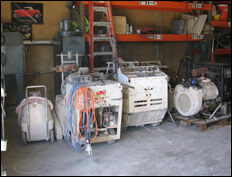 We are constantly looking for and building 400 HZ saws and drills. 400 HZ is a term for a very high frequency power we use for electric slab sawing, core drilling, wall sawing, grooving and grinding of concrete. The difference is the current alternates between positive and negative 400 times per second as opposed to 60 times per second on your standard wall plug. In other words, you have roughly a 7 times better power to weight ratio with 400 HZ equipment. The 400 HZ equipment is also much safer around all the water we use. In fact most of our 400 HZ motors are water cooled by an annular jacket that runs completely around the motor with no brushes whatsoever. That’s right, they are induction type motors and they do not create any sparks!